TFPC President and actor Vishal also condemned the whole incident and said it’s not fair to treat someone like that. 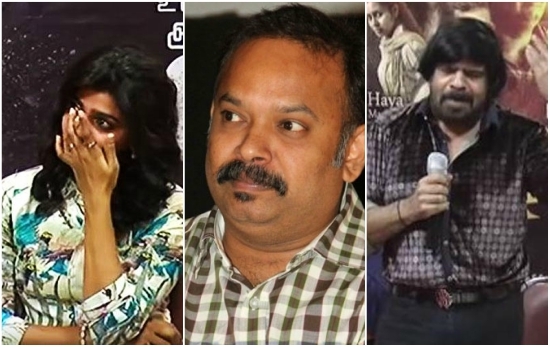 The latest controversy in Tamil film industry is the T. Rajender taking on actress Dhansika during the press meet of Vizithiru. Dhansika missed mentioning T.Rajender during her speech which irked the veteran actor and TR fired back at her during her speech. Dhansika apologised for missing his name while he was speaking which didn’t stop him. Actors Krishna and Vidharth and filmmaker Venkat Prabhu were also on stage and were in a dilemma regarding the issue. TFPC President and actor Vishal condemned the whole incident and said it’s not fair to treat someone like that.